Great news! The contest entry rules have just changed! To enter, all you need to do is comment on this post (or original contest post) with your favourite city! Optional- include your favourite city’s best attraction. Contest is open worldwide and winners can select GPSmyCity app destination of their choice! See the contest entry details below to find out how to earn additional entries. In collaboration with GPSmyCity, I’m giving away 20 (yes, TWENTY!) promo codes for the app GPSmyCity made for iOS and Android devices. What is GPSmyCity? GPSmyCity is a popular app for iOS and Android devices (value $4.99US) which provides self-guided walking tours for exploring cities on foot–they make bus tours obsolete! Why GPSmyCity? Lose yourself in the city of your choice without actually getting lost! Each city app contains from a few to a dozen self-guided walking tours for a single city (each app is tied to a certain city), allowing visitors to explore on foot the best of the city at their own pace. Whether you choose sightseeing, discovery, historic, cultural, museums & galleries, markets, iconic buildings, or a custom walk–it’s your choice! Walk the city your way! How many cities are there to choose from? With over 5000 walks in 470+ cities around the world the choices are endless. Which city do you want to walk? If you happen to win one of the 20 GPSmyCity apps I’m giving away, the city choice is yours. Pick your hometown, favourite city, or a city you plan to visit in 2016. 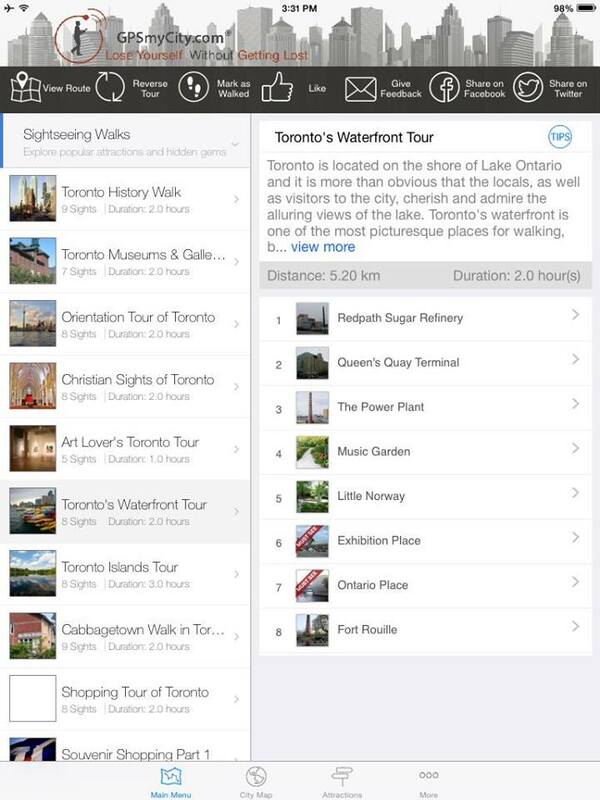 Currently, I’m using the GPSmyCity “Toronto Map and Walks, Full Version” and to no surprise to you, I’m excited to try out the Toronto’s Waterfront Tour and Toronto Islands Tour (once the weather warms up of course). From Art Lover’s Toronto, Antiques Shopping, Downtown Nightlife, Cabbagetown Architecture, to Danforth (Greektown), the Toronto GPSmyCity app has it all. 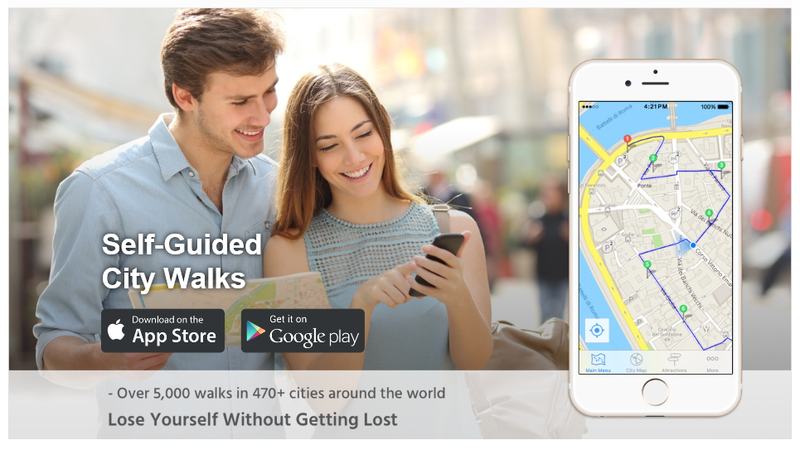 What better way to explore a city on foot than with GPSmyCity? Once your app is downloaded, the application remains valid forever. Comment below with your favorite city. 1- Comment on this post (or original contest post) with your favourite city! Optional- include your favourite city’s best attraction. ***For additional entries: Follow Turquoise Compass on Facebook, Twitter, Instagram, and Pinterest. Extra entry for each social media follow. Contest disclaimer– Contest dates: February 15th, 2016 – March 7th, 2016. 20 random contest winners will be notified the week of March 7th. Contest open world wide. The winners must respond within 48 hours or another winner will be drawn. Winners can pick GPSmyCity app destination of their choice: iOS available destinations and Android available destinations. This entry was posted in Lifestyle and tagged App, City, City Walks, Contest, Enter, Giveaway, GPSmyCity, Lifestyle, Review, Travel, Turquoise Compass by Turquoise Compass. Bookmark the permalink.